Missy Gluckmann of Melibee Global and I collaborate here and there because our vision for international education is so similar. So it came as no surprise when I discovered that Missy and her awesome team were also working on an innovative re-entry tool. I was delighted to receive a copy from Missy to review and I’m even more delighted to share my thoughts with you. 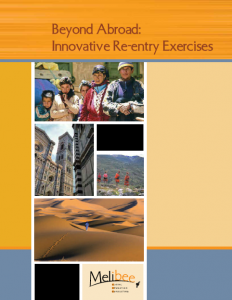 Beyond Abroad: Innovative Re-entry Exercises comprises 14 unique group exercises that range from 45-120 minutes in duration. As a workshop facilitator, the first thing I look at when considering a new tool is the duration of the activity, and I so appreciate that this tool isn’t full of activities that require several hours to facilitate. As I looked at the handy chart that provides a concise overview of the 14 activities, I immediately started thinking about the various ways I could combine and customize the activities for different training scenarios. I can’t tell you how many times I find a training tool that looks great, until I realize that it requires 4+ hours to facilitate and can’t be altered to fit my participants’ needs! 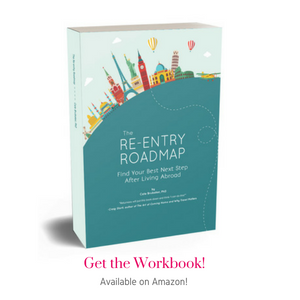 I love that the 14 activities approach re-entry in a variety of ways. 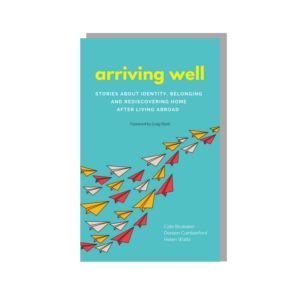 Some require lots of active participation and movement, while others focus more on personal – and even silent – reflection. Some use food, art, and music to delve into cultural topics, and others take a bit sillier approach. There really is something for every personality, learning style, and even age. It seems like the tool is geared towards a college-age audience, but I think many of the activities could easily be adapted to a younger or older crowd. I also really like that the activities don’t just focus on the returnee; several encourage the returnee to look outward to their family, friends, community, and world. All promote reflection, introspection, and action. As a seasoned workshop facilitator I feel I could successfully implement any of the 14 activities right away, yet this tool isn’t just for experienced facilitators. Quite the opposite. Due to the helpful facilitation tips at the beginning of the tool, the detailed instructions for each exercise, and the discussion forum (I haven’t seen it but I assume it’s as awesome as the tool), even novice facilitators could successfully implement any of these activities. 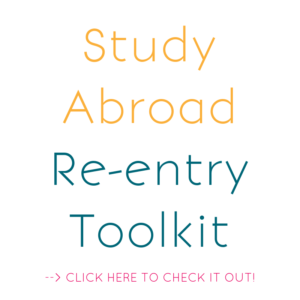 In short, as an international educator, workshop facilitator, and re-entry guide, I highly recommend adding Beyond Abroad: Innovative Re-entry Exercises to your toolbox! Well done, Melibee Global!